The IRS has rapidly increased audits of tax returns that report micro captive transactions. Specifically, since November 1, 2016, the IRS has deemed the micro captive insurance transactions to be listed transactions. In 2018, the IRS included the micro captive insurance transactions as one of its dirty dozen tax scams. The inclusion of the captive insurance transactions within this listing signaled these transactions as one of the IRS’s top audit priorities. This has not changed. Rather, due to successes that the IRS has had in challenging these captive insurance transactions, including two recent U.S. Tax Court cases, the IRS is aggressively increasing the selection of these returns for audit and assessment. The IRS has been very successful in attacking these micro captive transactions. In the most recently reported Tax Court case, Averami v. Comm’r, the IRS successfully challenged a micro captive arrangement based on an argument that the arrangement was not “insurance” under normal legal principles. This case involved taxpayers who owned a very successful jewelry business. As a result of their participation in the captive insurance transaction, the jewelers increased their insurance deductions from $150,000/year to $1,100,000. The substantial increase in their insurance coverage was the item of scrutiny in the case. The Tax Court examined the risk distribution and types of risks insured by the taxpayers. The Tax Court agreed with the IRS and concluded that the micro captive transaction in that case failed to distribute risk and that the captive insurance company was not a bona fide insurance company. More recently, in June 2018, in Reserve Mech. Corp., v. Comm’r., the Tax Court also sustained the IRS’s challenge of a captive insurance transaction on similar grounds. In this case, the Tax Court held that the insurance policies at issue were not bona fide insurance agreements because (1) they involved the circular flow of funds, (2) policies were not negotiated at arm’s length, (3) all the insured’s were obligated to pay the same percentage of premiums, (4) and the premiums were not based upon a proper risk assessment and actuarial determination. The Reserve Mech Corp case is unique in that it involved the foreign captive insurance company as the Petitioner. 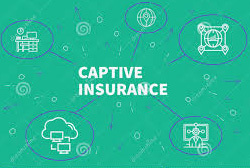 The captive insurance plan at issue in this case was designed and managed by Capstone. We represented a number of taxpayers in IRS audits that include a review of captive insurance transactions. In these recent audits, the IRS asserted both the insurance argument that was sustained in the Averami and Reserve Mech. Corp. decisions, as well as more recently asserting an economic substance argument under I.R.C. §7701(i). Under the economic substance argument, the IRS is essentially arguing that the micro captive transaction does not serve any economic substance and that it is created solely for purposes of generating tax deductions and savings. Importantly, in the recent audit examinations, the IRS has also proposed the substantial 40% penalty, on top of the tax assessments. This 40% penalty is authorized under I.R.C. §6662(b)(6) if the transaction at issue is deemed to lack economic substance. The IRS is vigorously looking for and initiating audit examinations of captive insurance transactions. Now that these transactions are required to be disclosed on the returns, it is easy for the IRS to select and audit these returns. If you participated in a captive insurance transaction, we recommend getting an independent review of the policy and premiums to ensure that you are in compliance with the law and can withstand IRS scrutiny. Unfortunately, there are many captive insurance transactions that were set up in an abusive manner. Due to this, all captive insurance transaction will face intense scrutiny by the IRS. Please contact the tax attorneys at Terrence A. Grady & Associates, to discuss your plan and any tax exposure you might have related to the transactions.